We started working on Exitor right after we get our first Amigas. It was supposed to be a vertically scrolling shoot 'em up heavily inspired by Nichibutsu's 1985 arcade classic Terra Cresta (テラクレスタ). Hovever, it was never finished. iff.library is short Amiga library (3.5kBytes) to read and write IFF files, mainly ILBM images and ANIM animations. ShowIFF is a versatile IFF viewer and MoviePro a movie player. iff.library has been written in 68000 assembler and was quite wide-spread due to its ease of use. Insanity Fight was one of the first shoot-em-ups for the Amiga. My humble contribution? The animated parallax starfield used in the intro sequence. The starfield used sprites but no bitplanes, so it could be easily combined with other graphics. It was also used in many SCA intros such as Karate Kid, Goldrunner etc. Dugger was a simple clone of Namco's classic "Dig Dug" from 1982. 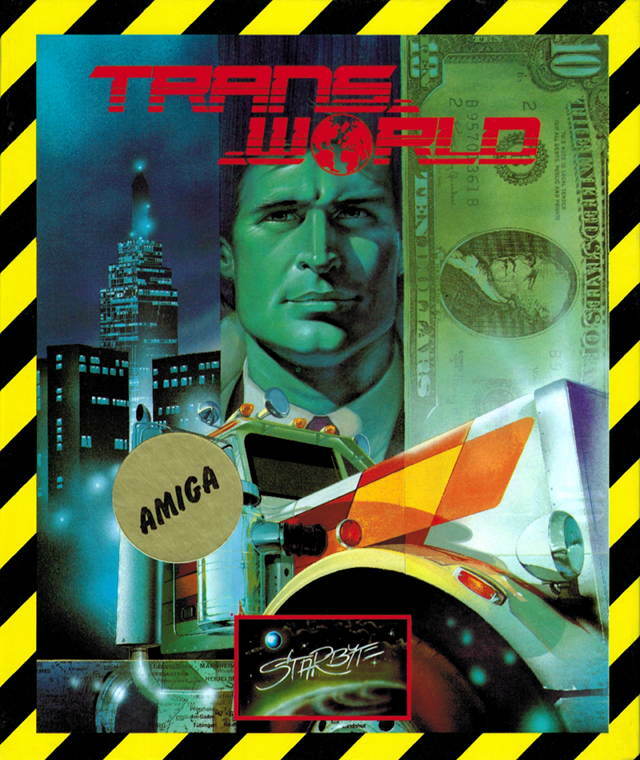 Originally it was planned to port the game from Atari ST to Amiga, but the code was such a mess that I completely re-wrote the game without looking at the original source-code. I also re-created the music on the Amiga using Christian Haller's excellent SoundFX sound editor by listening to the Atari tune. The game was pretty lame and received lukewarm reviews. The highlight of the game was its intro featuring Herbie Stone, Linel's mascot. Dugger was the first game to use some components of my upcoming "Game Exec" mini OS which was used in many games such as Crack, Eliminator, Leonardo, Ringside, Star Wars, Traps'n'Treasures and more. Type scamagic during game play to enable cheat mode. The screen will flash to confirm correct code entry. Then, press F1 to skip a level, F2 to restart a level or F3 to get an extra life. SCA Titlemaker could be used by LooserZ and LamerZ to create intros and titles. 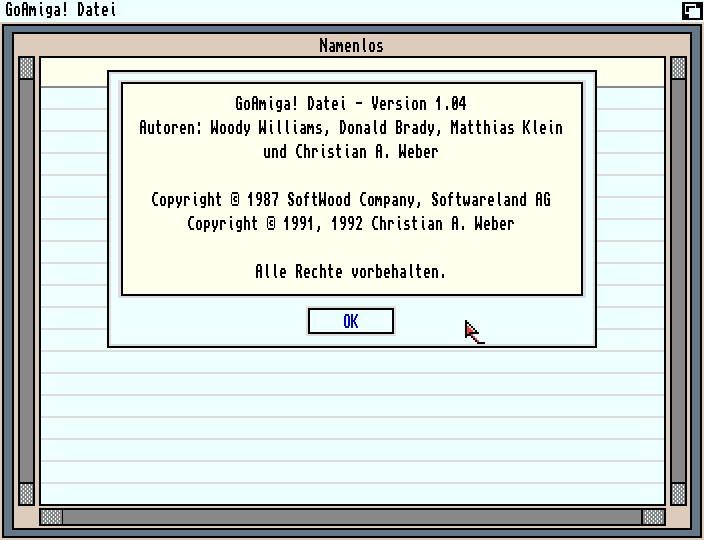 It featured soft-scrolling texts, multiple fonts, background images, fade effects and sounds. It was later sold as a commercial product called "GoAmiga! Titel" by softwareland. Rings of Medusa (also known as ROM) is a strategy game revolving around medieval / fantasy. Type desoxyribonukleinsaeure to activate cheat mode. 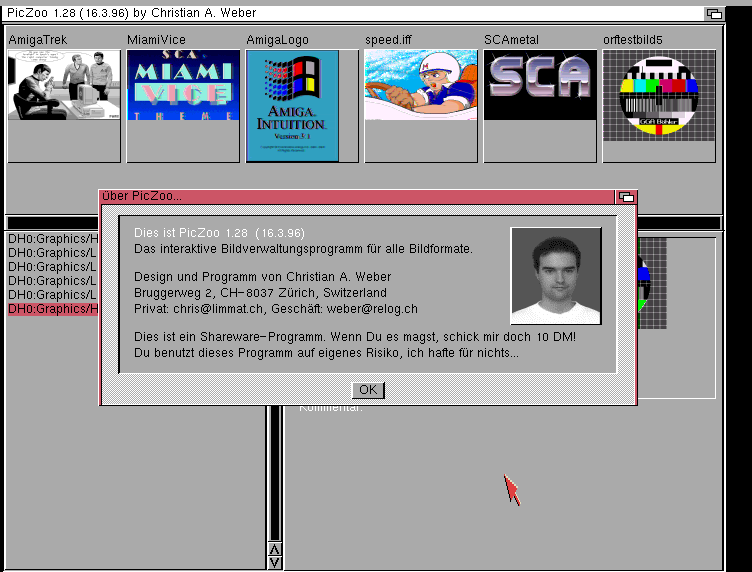 Scan-Master, later renamed to TopScan, is a professional scanner software for the Amiga. It can save images in 24-bit IFF format and was hell expensive. Das Schwarze Auge - Die Schicksalsklinge is an adaption of the popular board game by Schmidt Spiel + Freizeit GmbH. 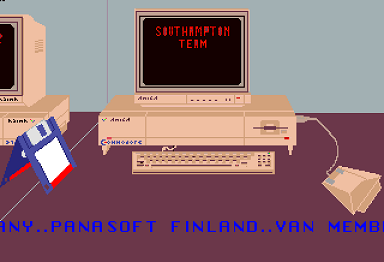 I did the Amiga version which is based on the PC version by Attic Software. The German version was released by Attic, the English version was called Realms of Arkania - Blade of Destiny and was released by US Gold and Sir-Tech (two versions). The challenge was that it had to run on 1MB Amigas but without disabling the OS. It was installable on hard disk. The intro tells the story about Aventuria and the events before the game. I programmed it from scratch since that was easier than converting the existing code. Bobi is a tool to manage, convert, crop and animate BOBs (Blitter oBjectS) and to generate source code (Assembler and C). It was used in many games such as Traps'n'Treasures. 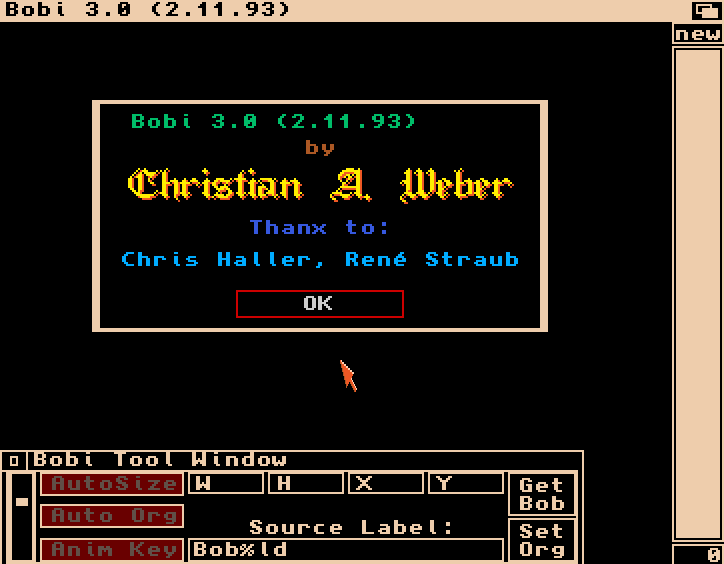 The Bob Animation Language BOBOL, part of Game Exec, was used to control these bobs and their actions within the game. 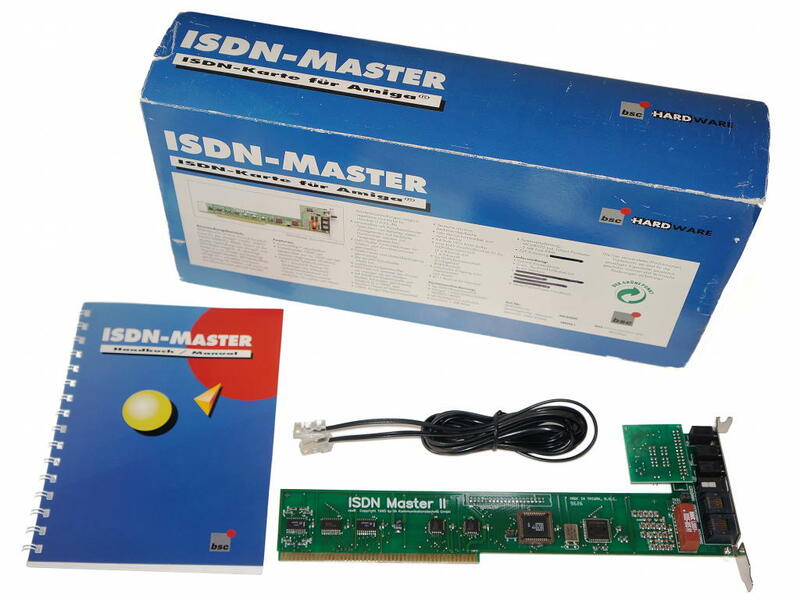 WilhelmTEL for the bsc ISDN-Master board is an integrated CTI solution including contacts directory, answering machine, personalized ringtones etc. 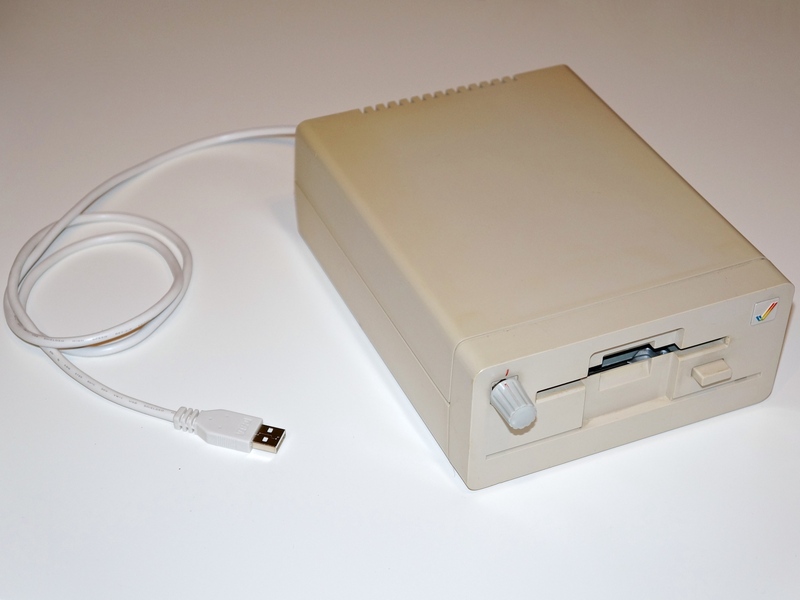 KryoFlux is a USB-based floppy controller designed specifically for reliability, precision, and getting low-level reads suitable for software preservation. It was developed by The Software Preservation Society, the authority in authentic disk imaging and floppy disk preservation. My mod puts the KryoFlux board into my old external Amiga drive. 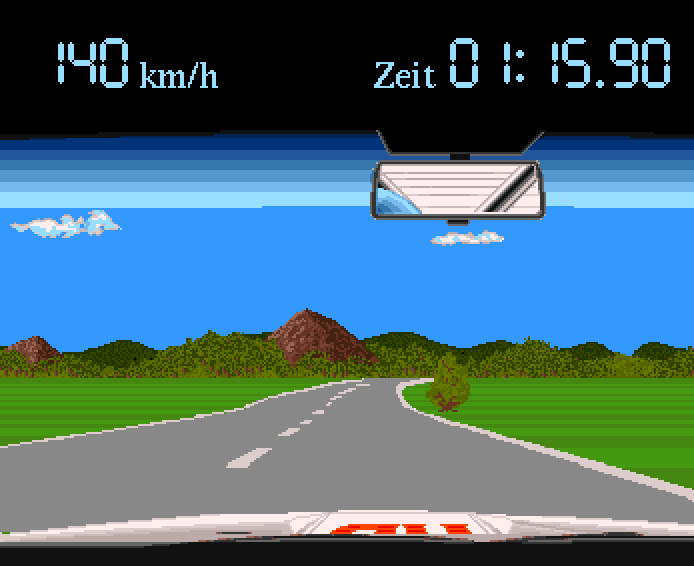 It is the very drive that was used to master Dugger and many other disks using the GameExec long-track copy protection system. The drive features a potentiometer to adjust rotation speed.